File photo of Cairo’s Fifth Settlement. Photo via El Gornal Net. 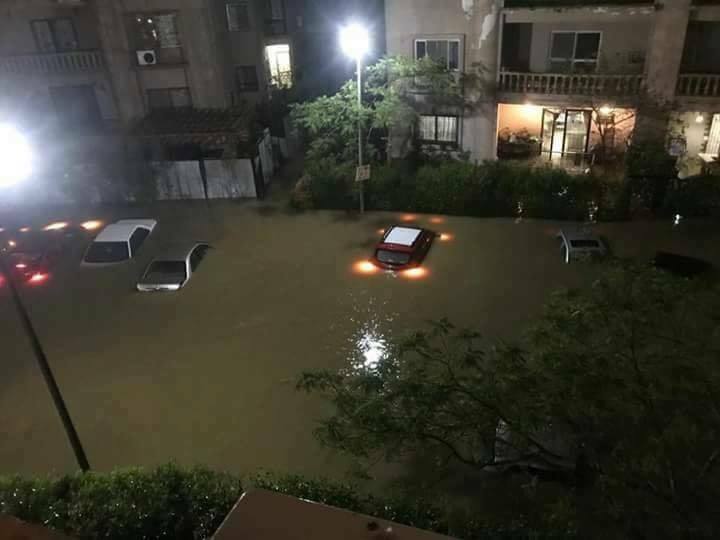 After 72 hours of unstable weather and following only 90 minutes of heavy rains on Tuesday, the majority of Cairo’s streets were turned into puddles, with people stuck on the ring road for more than eight hours failing to move an inch revealing poor infrastructure conditions. New Cairo residents, in particular, were the most subject to the side effects of rains, with their homes, garages and cars soaked in rainwater and further leading to electricity outages in what was viewed as a governmental shortcoming, as New Cairo is relatively a new area. Additionally, New Cairo is considered to be one of the most prestigious areas in Cairo given its costly housing. 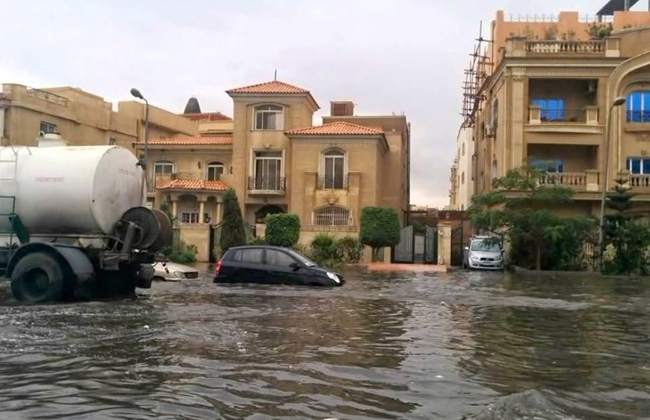 The Egyptian Administrative Control Authority suspended multiple officials and referred them to the general prosecution for the shortcomings in facing the consequences of the unstable weather due to heavy rains that revealed the drawbacks in the drainage system in the entire city. Sources said that the revealed drawbacks are considered a crime of squandering of public funds, in addition to the absence of professionalism in administrating the problem, according to Sky News. On Wednesday, Lieutenant Ayman Abdel Tawwab, deputy Cairo governor said that the area of the fifth settlement in New Cairo doesn’t fall under the administration of Cairo governorate, but rather under the development authority. On Thursday, sewage suction trucks were distributed across many areas in Cairo to pull water puddles from the streets. Ministry of Environment called on the residents of New Cairo to report on any “unusual creatures” that might appear in the upcoming days. The protectorate has reptiles and white ants along with other animals. However, the ministry confirmed that zoologists have been deployed to trace them. While the warning of the Ministry of Environment was believed to be as a result of the collapse of a protectorate’s wall, but sources told the privately-owned al-Watan newspaper that this warning is primarily because New Cairo is a desert-like area. As expected, rains raised questions on the infrastructure in New Cairo and other areas, including the road of Ain al-Sokhna that was closed during the rains even though it has only been reformed in recent weeks. The ceilings of different buildings and Malls collapsed, including Point 90 Malls, Carrefour Maadi and in the Campus of the American University of Cairo (AUC). 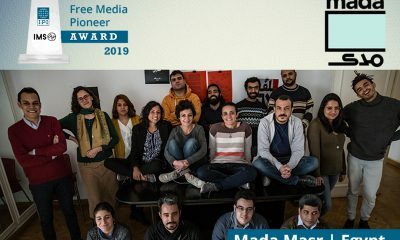 In Cairo, there are some 400 areas with unplanned housing and it is a city that is plagued with unplanned construction, according to Connected in Cairo.